(BOSTON) — NuProbe Global will commercialize the Wyss Institute's DNA nanotechnology-based variant-detecting method as a fast, low-cost and multiplexed molecular diagnostic for different disease areas, including cancer and infectious diseases. The announcement follows a worldwide licensing agreement between Harvard's Office of Technology Development (OTD) and globally-operating NuProbe that will leverage the technology to develop clinical assays capable of simultaneously detecting multiple rare disease-related DNA variants in bodily fluids. Precision medicine efforts, including those focusing on cancer diagnostics and therapeutics, infectious diseases and other indications, aim to provide optimal treatments to individuals based on their unique disease profiles, genetic predispositions or the genetic make-up of pathogens. However, many known genetic variants (or mutations) that cause or accelerate diseases, or merely accompany them, often consist of only a single substitution of one of the four nucleotide letters in the DNA code and may occur as very rare events — sometimes only in a few cells within a growing tumor or a population of pathogens. Importantly, the presence of such variants alone or in combinations can determine the success or failure of a therapy in patients. Assays that are traditionally used in the clinic to detect such variants often lack specificity, and because they cannot be multiplexed, are lengthy and costly. As a solution, Peng Yin, Ph.D., Core Faculty member of the Wyss Institute for Biologically Inspired Engineering at Harvard University and Professor of Systems Biology at Harvard Medical School (HMS) and a co-founder of NuProbe, working with his former Postdoctoral Fellow, David Zhang, Ph.D., developed toehold probes, a DNA (and also RNA)-detection technology based on specifically engineered nucleic acid sequences, which combines high sequence selectivity and specificity with high temperature robustness to enable the identification of multiple variants. Zhang now is the Ted Law Jr. Assistant Professor of Bioengineering at Rice University and also a co-founder of NuProbe. Toehold probes contain two strands of DNA that are hybridized to each other due to complementarity of their nucleotide sequences. One, the "probe strand" is also complementary to a target sequence, for example, in the human genome, while the second "protector strand" copies part of the target DNA. Toeholds ? short sequences at the ends of the probe strand that are either complementary to the target sequence or the protector strand ? initiate two exchange reactions. These either result in the probe strand being specifically bound to its genomic target DNA (to allow its detection) and the protector strand being released; or, in reverse, in the probe strand re-engaging with the protector strand and leaving the target DNA behind. The two competing exchange reactions lead to an equilibrium that is highly predictable and highly sensitive to perturbations such that the presence of a single non-matching nucleotide (a variant) in the target sequence prevents its detection. In addition, while conventional probes only work in very limited temperature settings, toehold probes can robustly operate in much broader temperature windows, which allows them to be multiplexed. The toehold principle thus enables molecular approaches that can improve the detection sensitivity of single-nucleotide changes in the DNA of cancer cells or antibiotic-resistant bacteria by 100 fold and that enable the multiplexed detection of hundreds of variants in the same test tube. "Toehold probes add new and powerful DNA nanotechnology-driven capabilities to both polymerase chain reaction (PCR) and next generation sequencing-based methods. Their specificity and robustness may enable clinical research labs to specifically home in on multiple rare genetic variants in a single test with fast turnaround, and in a much more cost-effective way," said Yin. 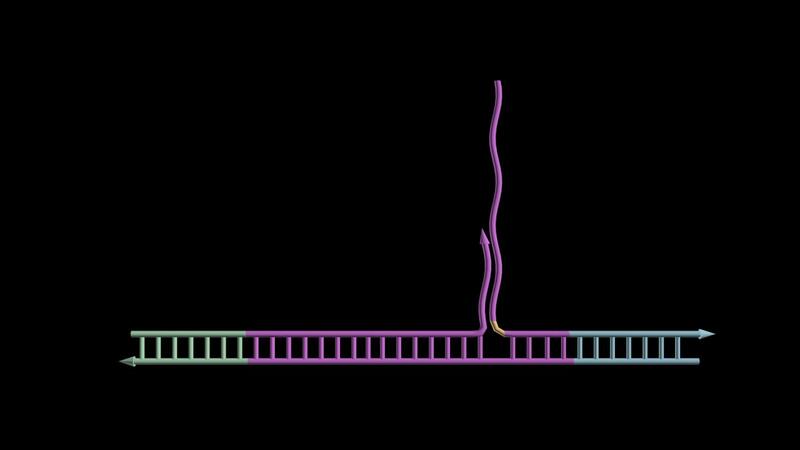 NuProbe is leveraging toehold technology to develop PCR and DNA-sequencing-based methods. "We have validated our technology by identifying hundreds of single nucleotide variants in samples including cell-free DNA extracted from blood of cancer patients. And with the robustness and versatility of our method, we potentially could facilitate personalized diagnostics in the future also through the use of more portable and economical PCR instruments with lower temperature accuracy and uniformity in many clinical settings," said Zhang. "We are truly excited to see DNA toehold nanotechnology venture out into the diagnostic market, where it has tremendous potential to deeply impact precision medicine in numerous disease areas," said Wyss Institute Founding Director Donald Ingber, M.D., Ph.D., who also is the Judah Folkman Professor of Vascular Biology at HMS and the Vascular Biology Program at Boston Children's Hospital, as well as Professor of Bioengineering at the Harvard John A. Paulson School of Engineering and Applied Sciences. Besides Yin and Zhang, Victor Shi, Ph.D., former Founding President of Qiagen Asia Pacific and a former faculty member at National University of Singapore School of Medicine is a co-founder and investor of NuProbe. Jongmin Kim, Ph.D., and Nicolas Garreau, Ph.D., former Postdoctoral Fellows working on Yin's Wyss Institute team, will join the startup contributing valuable expertise. The Wyss Institute for Biologically Inspired Engineering at Harvard University (http://wyss.harvard.edu) uses Nature's design principles to develop bioinspired materials and devices that will transform medicine and create a more sustainable world. Wyss researchers are developing innovative new engineering solutions for healthcare, energy, architecture, robotics, and manufacturing that are translated into commercial products and therapies through collaborations with clinical investigators, corporate alliances, and formation of new startups. The Wyss Institute creates transformative technological breakthroughs by engaging in high risk research, and crosses disciplinary and institutional barriers, working as an alliance that includes Harvard's Schools of Medicine, Engineering, Arts & Sciences and Design, and in partnership with Beth Israel Deaconess Medical Center, Brigham and Women's Hospital, Boston Children's Hospital, Dana-Farber Cancer Institute, Massachusetts General Hospital, the University of Massachusetts Medical School, Spaulding Rehabilitation Hospital, Boston University, Tufts University, Charité – Universitätsmedizin Berlin, University of Zurich and Massachusetts Institute of Technology. Harvard Office of Technology Development (OTD) promotes the public good by fostering innovation and translating new inventions made at Harvard University into useful products that are available and beneficial to society. Our integrated approach to technology development comprises sponsored research and corporate alliances, intellectual property management, and technology commercialization through venture creation and licensing. To bridge the academic-industry development gap, Harvard OTD also manages the Blavatnik Biomedical Accelerator and the Physical Sciences & Engineering Accelerator. For more information, please visit http://otd.harvard.edu.